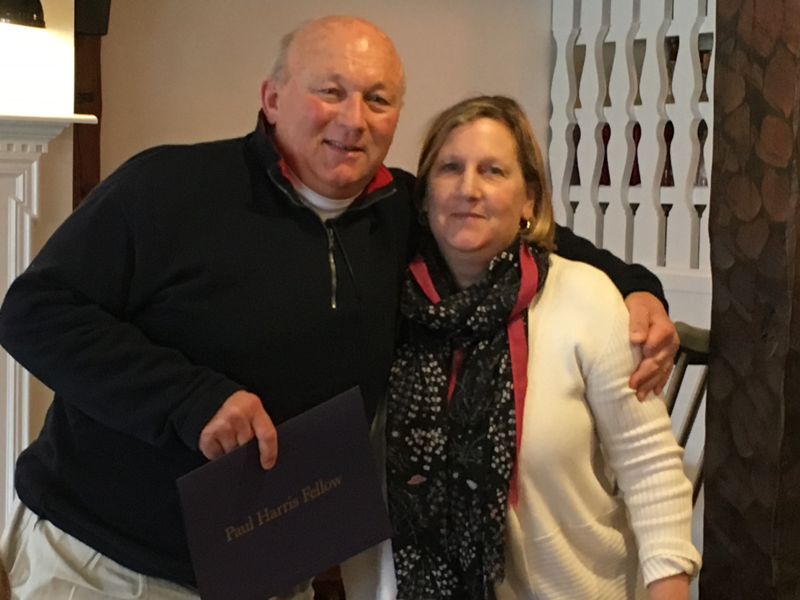 The Rotary Club of Osterville is proud to have awarded member Tom Nelson with a Paul Harris Fellow award on April 18th, 2018. Paul Harris Fellow Recognition is both an award for exemplary work in community service or helping those in need, or a method of recognizing a substantial donation to The Rotary Foundation. Every Paul Harris Fellow receives a pin, medallion and a certificate when he or she becomes a Fellow. This identifies the Paul Harris Fellow as an advocate of the Foundation's goals of world peace and international understanding.